Joanna Page is joining the cast of Doctor Who for the 50th anniversary special it has been confirmed. The BBC released a photo today showing Joanna posing with current Doctor Who stars Matt Smith and Jenna-Louise Coleman, and returning Doctor David Tennant. 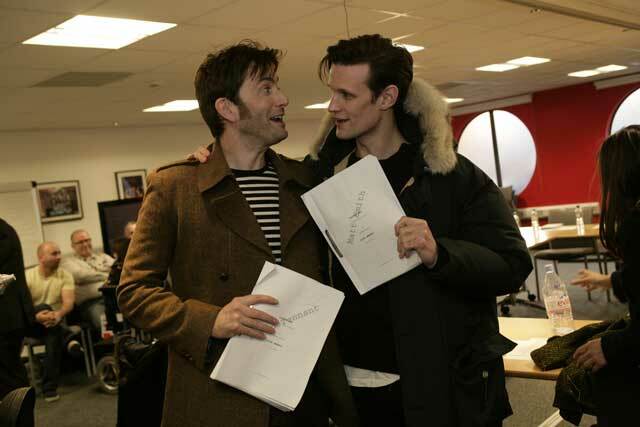 The four actors were together for a read-through of the 50th anniversary episode. A few days ago it was confirmed that Billie Piper will be returning to the show for the 50th anniversary episode and John Hurt will also guest star. More stars are expected to be announced in the coming weeks.